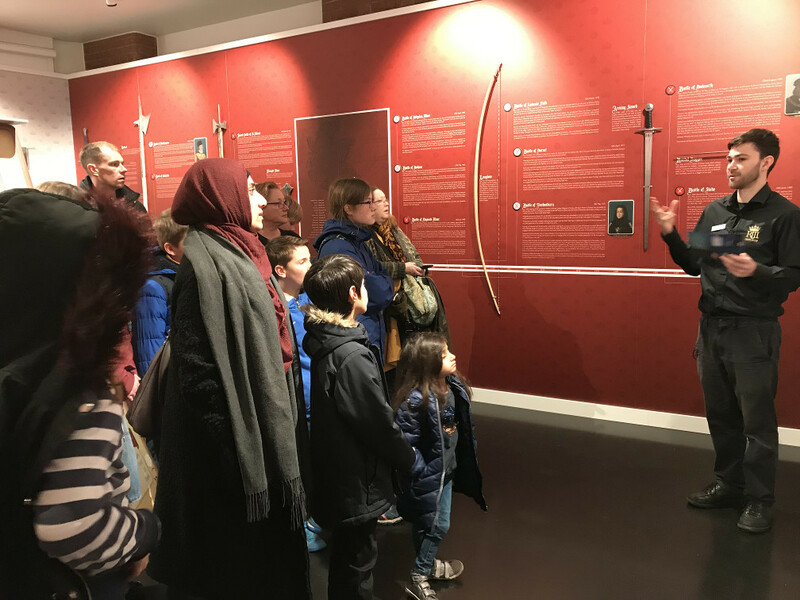 Modern cities are often so built up that their past becomes lost under a blanket of concrete but, in Leicester, the past was dramatically revealed when the bones of the “evil” 1 King Richard III were dug up over 500 years after he was brutally killed in battle. Richard is thought to have killed the “two little princes” (the twelve-year-old heir to the throne and his brother), thus allowing him to take the crown. 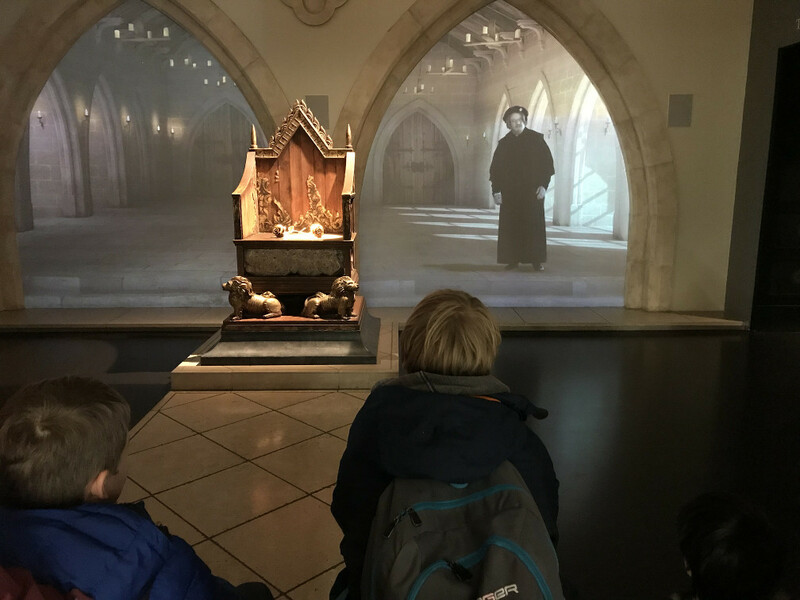 The story of his life, death and the discovery of his remains are vividly told at the King Richard III centre. Here are some moments from our visit there. There were some great audio-visuals to enable us get a feel for the period. When Richard’s bones were dug up, they looked like the pieces of a jigsaw that hadn’t been finished. 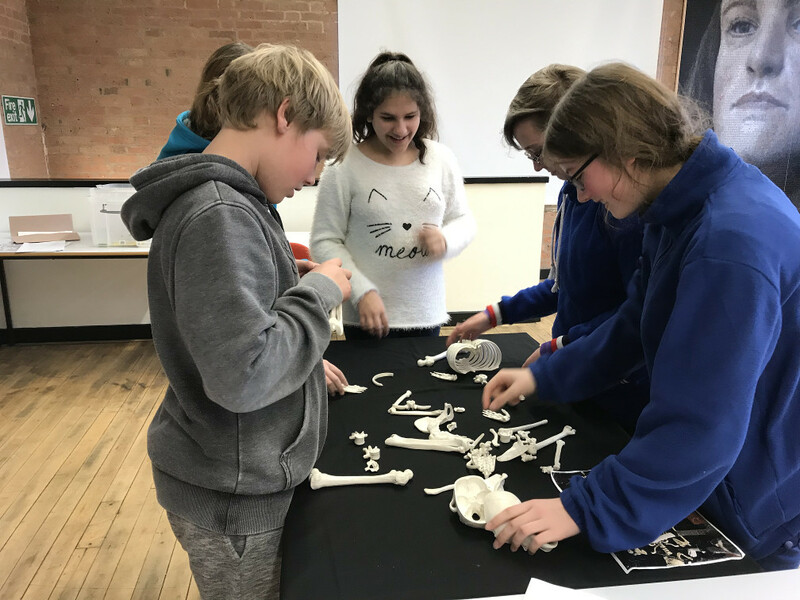 We had a go at our own skeleton jigsaw … quite a challenge. If some bones of a skeleton are missing, it can be difficult to work out its the overall height. However, by putting the lengths of bones you have into a mathematical formula, the overall height can be found. 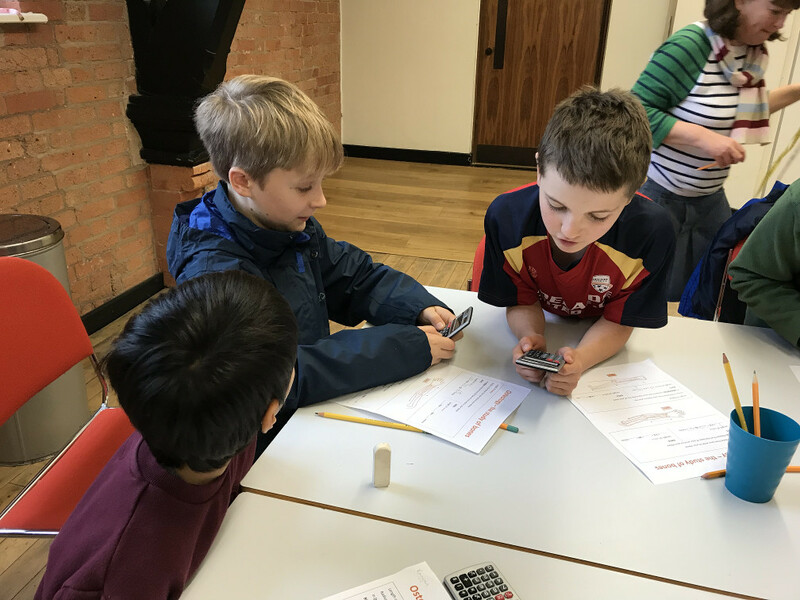 Here we are with our calculators doing bone maths. One of the challenges faced by the archaeologists was to reconstruct the features of Richard’s face from his skull. They did this by inserting carefully-calibrated pins into the skull to form a foundation for the soft tissue. 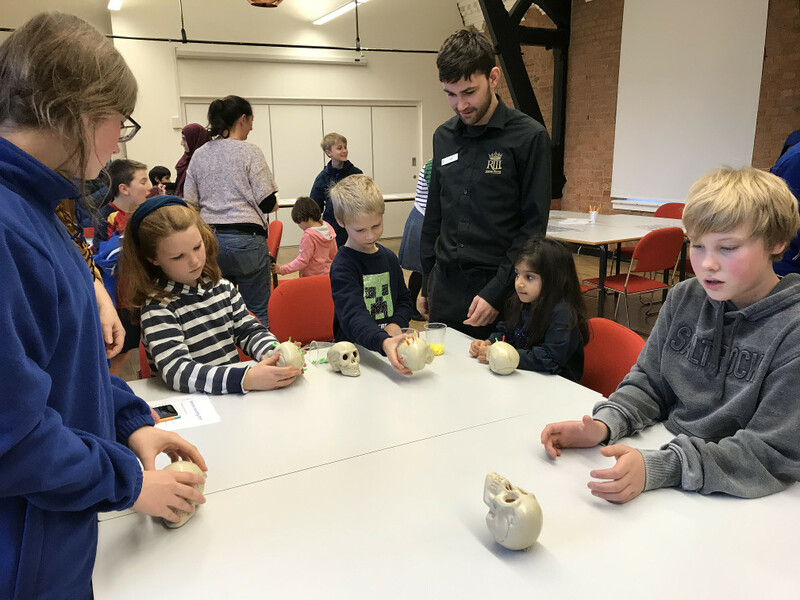 Here we are having a go with the skull and pins. You can see the centre’s finished reconstruction here. After Richard was killed in battle, he was buried without ceremony in an obscure grave. Following the discovery of the burial site, his remains were moved to Leicester Cathedral. 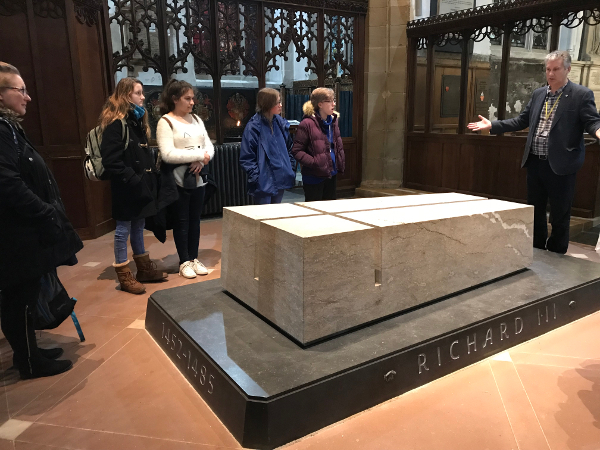 The Education Officer at the Cathedral gave our group a tour and explained a little about Richard’s final resting place.